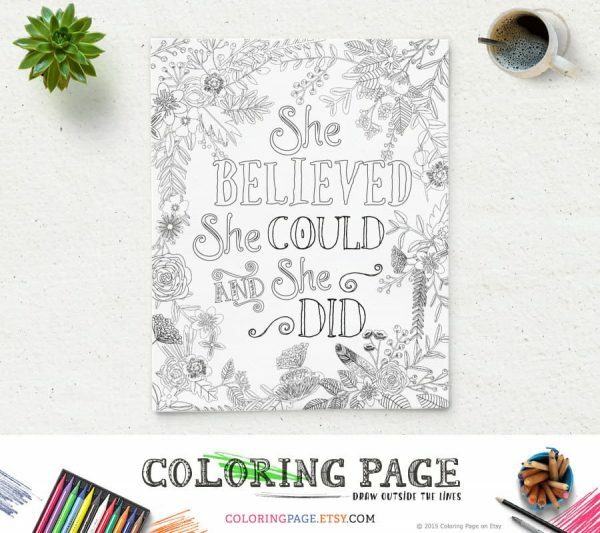 I don’t know if you saw my post a few weeks ago about my new favourite past time – colouring in!, but ever since then, I have been trawling Etsy for some gorgeous doodles and colouring booklets by bona fide artists for me to print out and colour in! I’ve gone to Etsy because I know how many talented artists there are out there and I believe artists deserve payment for their creations, especially if I’m going to print and colour away to my hearts content. I’ve found some fabulous little booklets, patterns and pages. 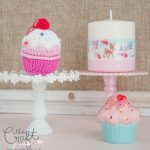 My favourites seem to be florals but I have been saving patterns and ladies to try at a later date. Ok so my favourite is Number 2.. I love the coloured in version you can see a little peek of. Don’t forget to get your essential supplies! 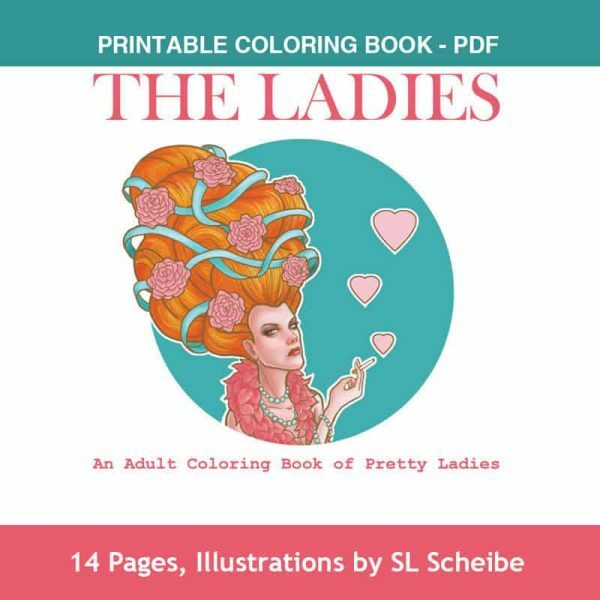 There are 14 pages (each one is 8.5″ x 11″/A4 Size) to colour with a different pretty lady illustration on each page. Not suitable for under 18’s. Grab your prismacolor pencils and get colouring! The yellow in this print is so eye catching and I would even love to buy it as a final print without me having to do the work! 3. 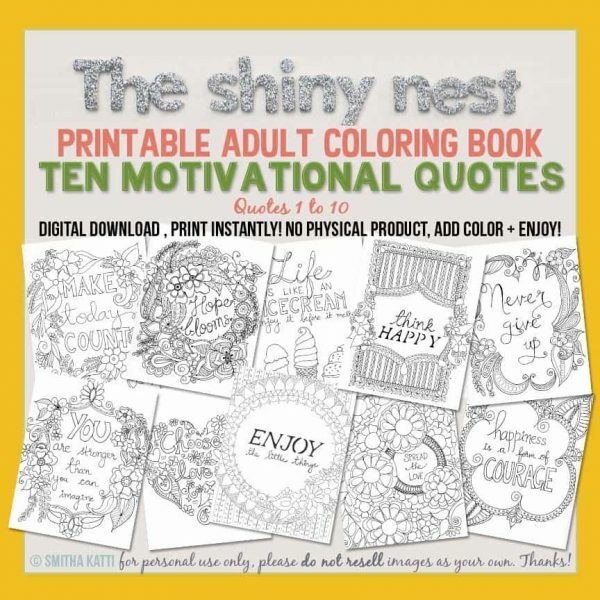 Printable Quotes Colouring Book from The Shiny Nest. 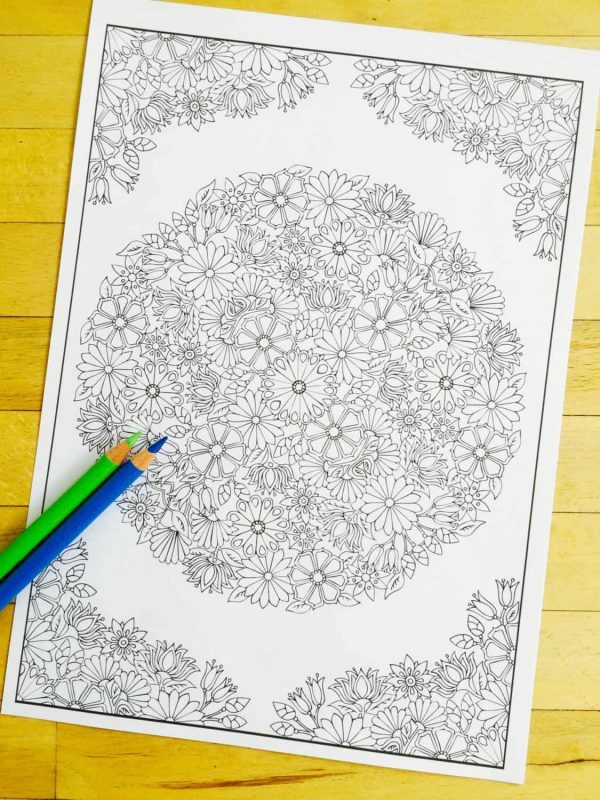 Do you love colouring for mindfulness? This book contains 10 motivational/inspirational quotes, Quote #1 to Quote #10 that can be purchased individually too, in my store. These quotes can be purchased individually as well- just look for the yellow previews. 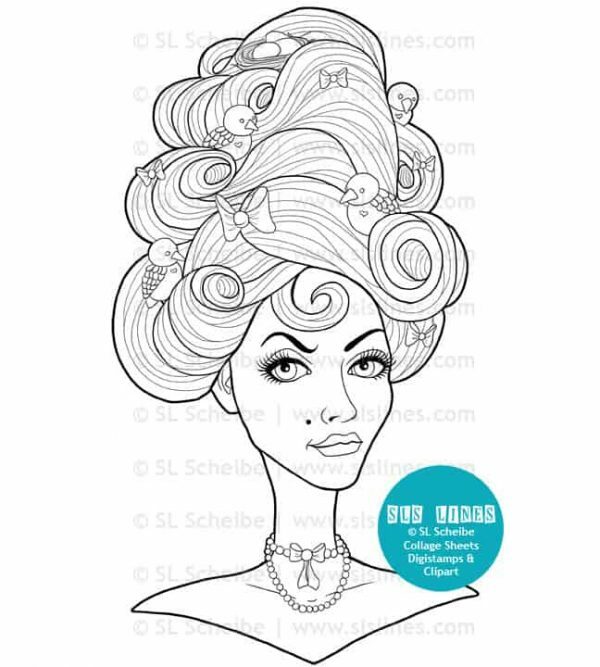 Upon purchase, you will receive 1 pdf book containing the 10 coloring pages (in high resolution, without the copyright watermark) via a secure link. 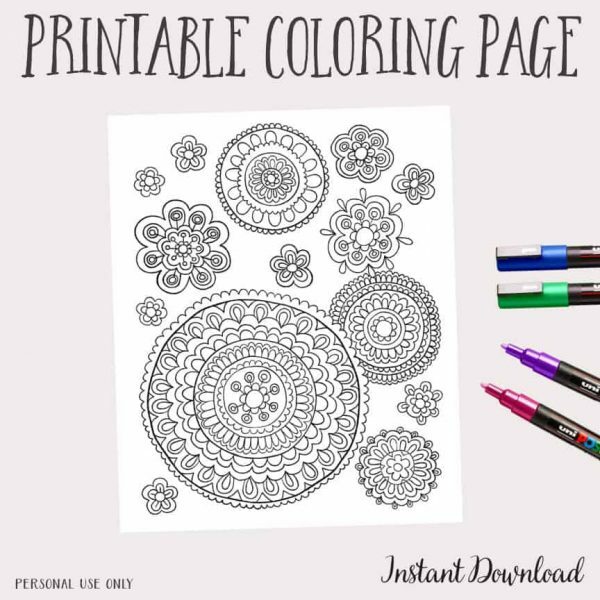 Mandala’s are my favourite things to draw, but honestly, I have no time for that (running two blogs) so these colouring pages are perfect for me to download and print out! 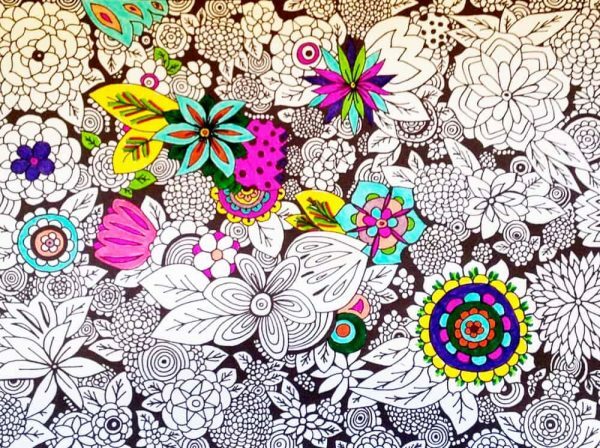 10 Image colouring book for midori by Robin Mead Designs. 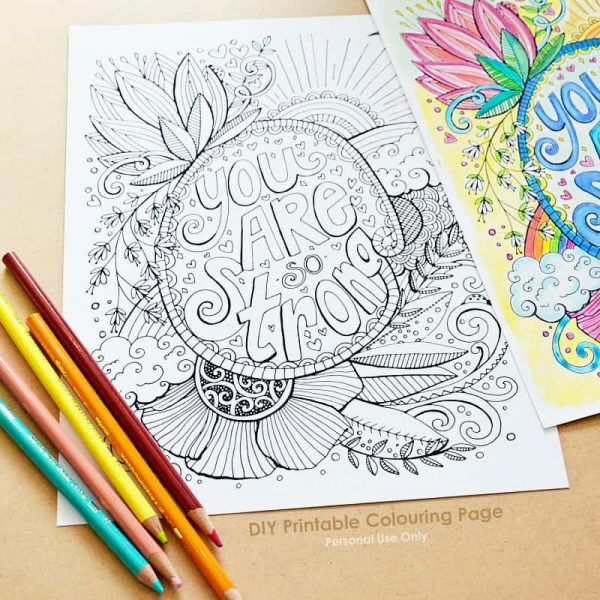 If you have a Midori Journal then these colouring books are essential! If you haven’t downloaded them yet, what are you doing!? I LOVE this. 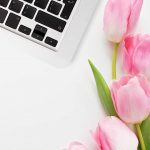 SLSLines is possibly my favourite but honestly.. they’re all amazing and they’re all on my list to purchase (I’ve bought two already and working my way through them). This is a stunning colouring page and even though I prefer to colour, less intricate designs because I’m incredibly impatient, I do love using my Prismacolor pencils! I draw flowers, alllll of the time! So, I thought it was a genius idea to scan them in and offer them as colouring pages! I hope you like these! The selections are obviously tailored to what I like but I’m sure you’ll like at least one of them! Have any of you tried any colouring in as a grown up? I’ve found that it’s great in the evening for winding down before bed. Stops my mind from racing a million miles an hour when I get into bed. 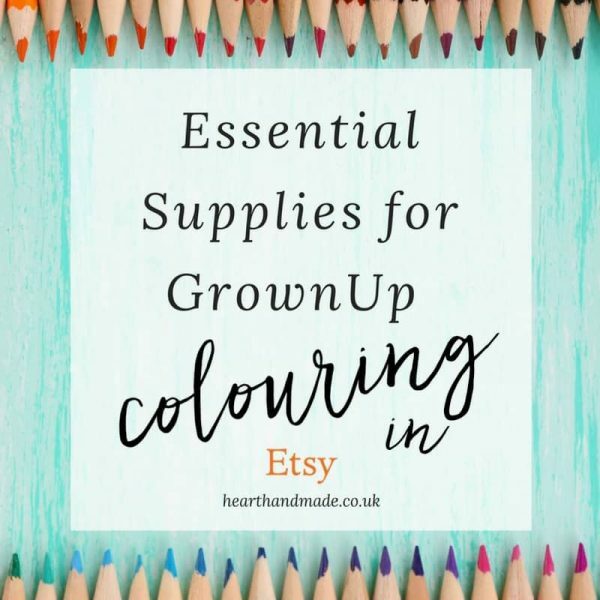 You can see some of my favourite colouring tools and supplies here! P.P.S – If you have a laser printer or access to a laser printer, you could print these pages on watercolour paper and use watercolour pencils or paint to colour in! I recently bought one of the colouring books, (The Paris one) and I’m in love with it! It really is so relaxing and fun! I’m so happy you shared these, I’ll definitely have to check them out when I’m done with my book. I very much like your post. I do a lot of coloring for adults. I think it’s a great way to spend my free time. I mostly enjoy the books by Johanna Basford. I love these! Thanks for sharing at the Say G’day Party! Pinned all and look forward to seeing you on Saturday! What a great resource! All too often, I’ll find a bunch of coloring pages to print off but there is no information about who created them or whether they gave any consent to have their art given away for free. Sadly, it’s a pretty big problem that’s hurting a lot of coloring book artists. Thanks for taking the extra time to provide the names and details of all the pages you listed here, you’re helping out the artists that rarely get the appreciation they deserve.